My name is Louis and I'm a therapist. I deal largely with sexually abused men and women. 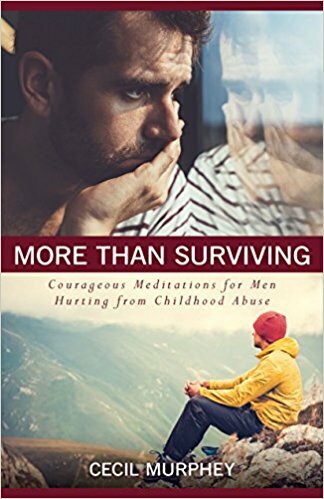 I'm writing this because I used their experiences to help me heal from my own abuse. As they talked and I listened, I faced my painful past. Funny, but I followed the advice I gave them: "Face the demons of the past and they'll go away." I'm also doing that. As others open up to me, I find myself opening up to myself and discovering deeper layers of pain. At times I feel like I've used them, but I also know that I helped them as well as myself. The important thing I've learned during the past seven years is this: the healing is never fully completed. "I lost my faith, if I really had any, when I was nine," Nick's email began. He said the youth pastor of his church befriended him. "That was cool because my dad and mom were always working or lying in front of the TV. My pastor took me to ball games and taught me wrestling techniques." One evening after everyone else had left the church gym, Nick and the youth pastor went to the showers. He hugged Nick, held him, and began to fondle him. "I was scared and didn't know what to do. He was supposed to be like my best friend." Nick did nothing. "But I hated myself and I hated God for letting that sicko do that to me." He stopped going to church. Nick hasn't returned to God, but he has started to attend a charismatic church in Ohio. "I think I'm sneaking back into the faith," were his closing words. 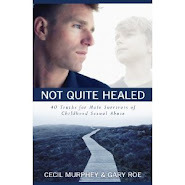 One former addict wrote me, "I stayed zapped and blocked from my feelings for nine years. When I decided to face my issues, my therapist said, "Your drug addiction probably saved your life." He went on to say that he was convinced the only reason he didn't kill himself was that the street drugs made the pain bearable. "A guy I grew up with invited me to Celebrate Recovery. He had been on booze but got sober and stayed that way." The writer said he went to his first CR meeting and didn't like it very much but he promised his friend he would go back at least once more. Here's his comment about his second visit: "In the small group, one man spoke about being abused by a neighbor. As I listened, I felt he was talking about me. I started to cry." The anonymous writer went on to say he hasn't been on drugs for nearly two years. "I'm happy to be alive. I guess I'm also lucky to be alive." In a previous post I wrote about numbing out when I felt overwhelmed by emotion. It almost happened again recently. My wife had two serious accidents in an eight-day period. Although I was aware of her pain and I could see it in her eyes, I hardly knew what to say. In the past, I wouldn’t have understood, but this time I wasn't numbed as fully as I had been long ago, yet I was aware of a struggle going on inside me. For me, it was an involuntary numbing. I can now look back and realize that my wise, inner self used the frozen emotions to protect me from feeling my pain. There's another kind of numbing, and it's done so often that the people are hardly aware of what they do. We say they self-medicate. Their medication can be stuffing themselves with food. Why wouldn't they? While they were still infants, parents stopped them from crying by thrusting a bottle into their mouths. Food soothed any ills. So for some, food addiction is a natural reaction to abuse. 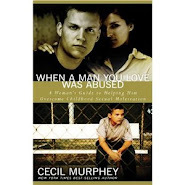 I know a woman who was sexually abused and after each abuse, her step-father bought her a gift. I overheard her say to a group, "I'm a shopaholic and sometimes I wonder why I buy so much." Maybe she knows the reason. Or perhaps she knows it's her way to stifle the pain. By shopping she can self-medicate and numb her emotions. The little boy I was became an injured, confused & fearful soul. Authority no longer deserved my respect. Trust no longer seemed possible. My dreams and goals no longer appeared attainable, washed away with the tears. For 30 years I have struggled and fought to live despite the pain. I have let failure become a habit, and chaos an addiction. The experience has stunted my growth as a man, as a whole person. I sit in gatherings feeling like an alien, an outsider. I listen to others speak and am overcome with feelings of inadequacy. I wonder if I’ll ever fit in, ever become a true part of society. Wonder if I can ever be someone who experiences the true meaning of the word, ‘success’. I am trying to build a bridge to the little boy I was, so that I can know him again. I am trying to heal. I am trying to rise above. I am trying to live again. I am more than my emotions, my fear, my disappointment. I am a man full of talent, humour and kindness. I am a caring, intimate boyfriend, a supportive and encouraging friend. I am their son, her brother, their teacher and your neighbour. When you see me on the subway, you don’t see the turmoil inside. When you hear my laughter, you don’t see the private tears. Step by step, day by day, little by little, I am trying to improve my circumstance. I am trying not to let the past prevent a bright future. I am fighting for more peace, less anger. More joy, less sadness. More love, less pain. With more courage than I could’ve ever imagined, I am pushing forward into a new, fulfilling life where the difficult memories stop pulling me down. Where the smile is genuine, the laughter hearty, the embrace confident. A new year. A new path. A new challenge. I’m ending my silence, continuing my healing journey. I’m scared. I’m anxious. I’m ready.